When we talk about caviar, what pops into your mind? If you have the impression that caviar is a delicacy that comes with an exorbitant price tag and an acquired taste to get accustomed to, you’re not alone. 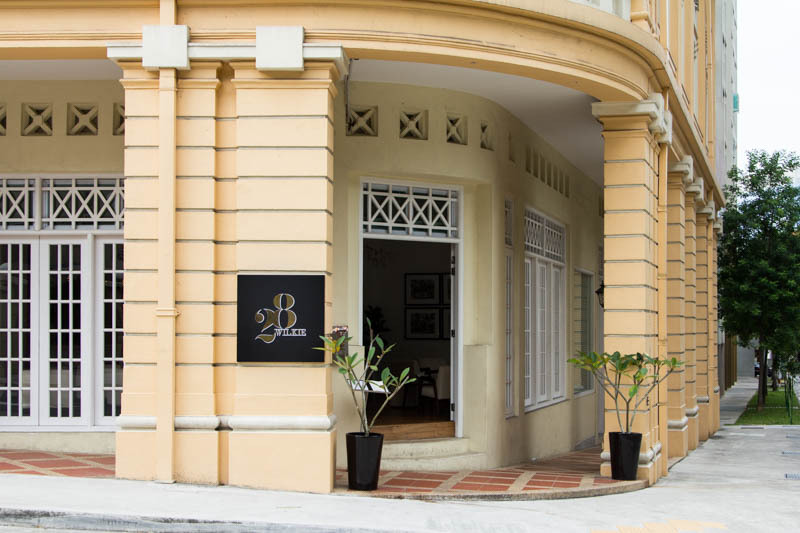 Newly opened restaurant 28Wilkie is Singapore’s first ever caviar bar, to break some of the misconceptions that Singaporeans might have about its taste. 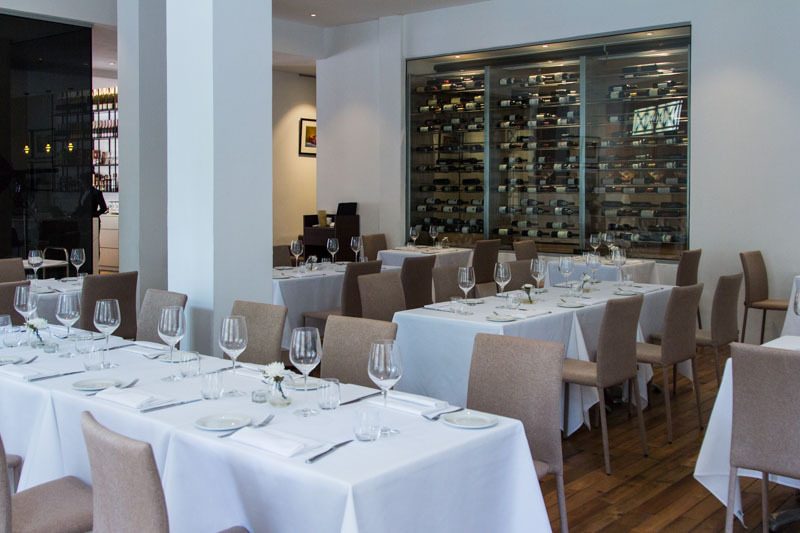 Started by founder Benjamin Goh, 28Wilkie may be a caviar bar, but not all dishes that are served here have caviar incorporated in them. 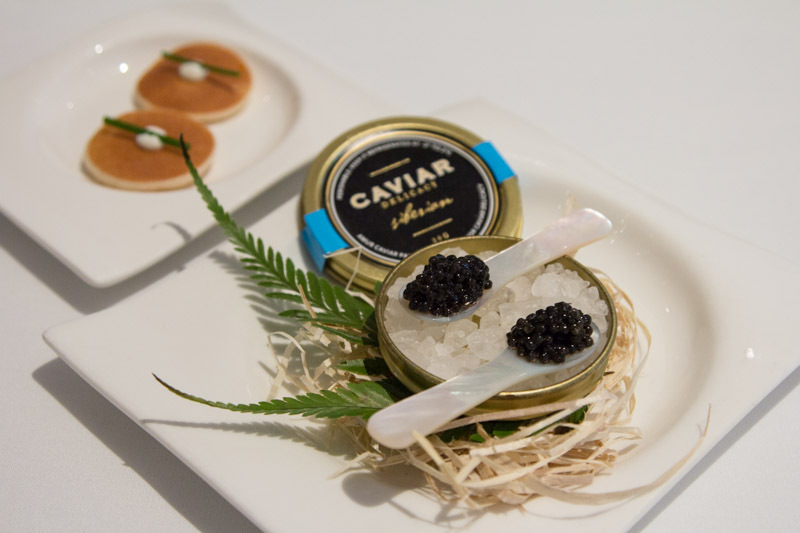 As starters, the Siberian Caviar ($180 for 30g, serves four) is provided as a complimentary amuse bouche (1 spoon, 3g). Instead of getting hit by the overwhelming saltiness that is prominent in caviar, you’ll get hit with a nutty taste that’s almost fishy, but in a good way. Combined with the blinis that were served on the side, it was a delightful start to the evening; the saltiness was counterbalanced with the sweetness from the blini, and the tangy creme fraiche added a nice richness to the dish. I also had a taste of 28Wilkie’s special Hybrid Caviar ($220 for 30g, serves four), and I was astounded by the unique seaweed green colour of the caviar, along with how creamy it was; almost similar to ikura, but with a much stronger and brinier taste of the sea. I started off with the Capesante Con Caviale ($32) as an antipasti. 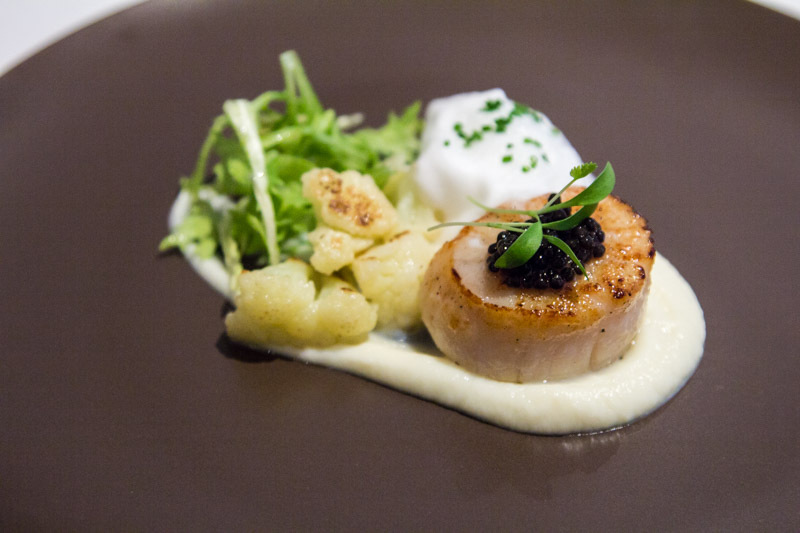 Pan-seared Hokkaido scallop with a cauliflower puree and lemongrass foam, topped with some Siberian caviar. The scallop was sweet with a nice salty burst from the caviar, and cut apart beautifully. The cauliflower puree was creamy and contrasted with the refreshing taste of the lemongrass foam. 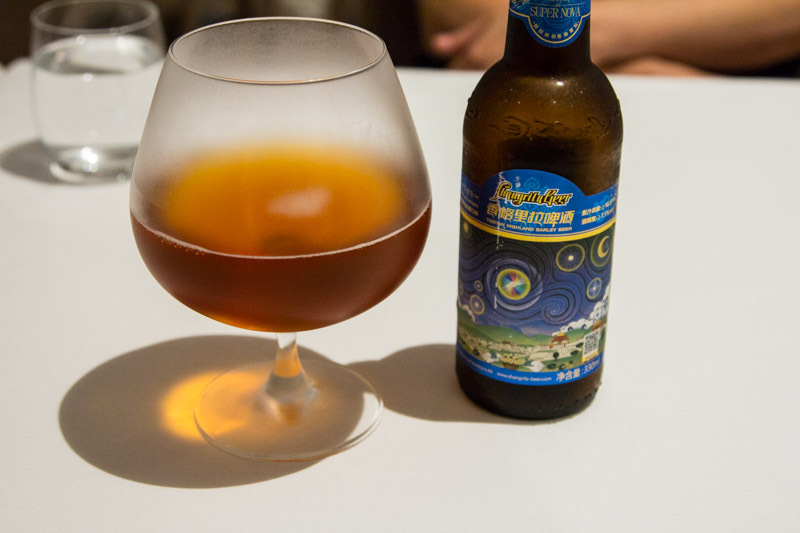 If you’re a beer lover, we recommend ordering the Shangrila Super Nova ($10). Imported specially from Tibet, this beer is made with Tibetan highland barley grown 3000m above sea level and Tibetan spring water. I’m always wary of drinking beer because it tends to make me bloated quickly due to the gassy nature of the drink, but Super Nova was surprisingly smooth, sweet and not gassy in the slightest. With a 7.1% ABV, this is stronger than your average beer, so sip it slowly! Continuing on to the mains, I had the Filet Mignon ($68) paired with a medley of vegetables, along with home-infused rosemary oil and a red wine reduction. 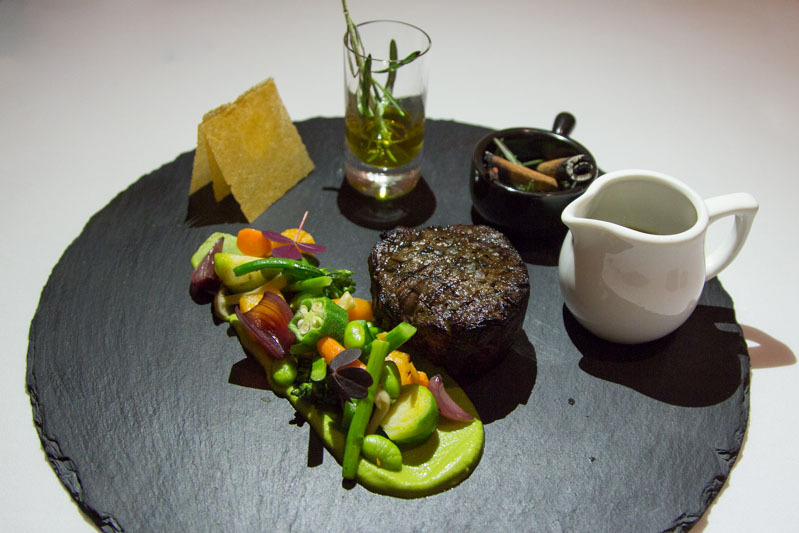 This dish impressed me not only with its taste, but with its value as well; $68 for a piece of A5 Joshu Gunma Wagyu filet mignon is insanely under-priced. The red wine jus really elevated the beef and added complexity to it, while the piece of meat had a nice crust that contrasted with the juicy, tender interior. The vegetables on the side added both a pop of colour and freshness. 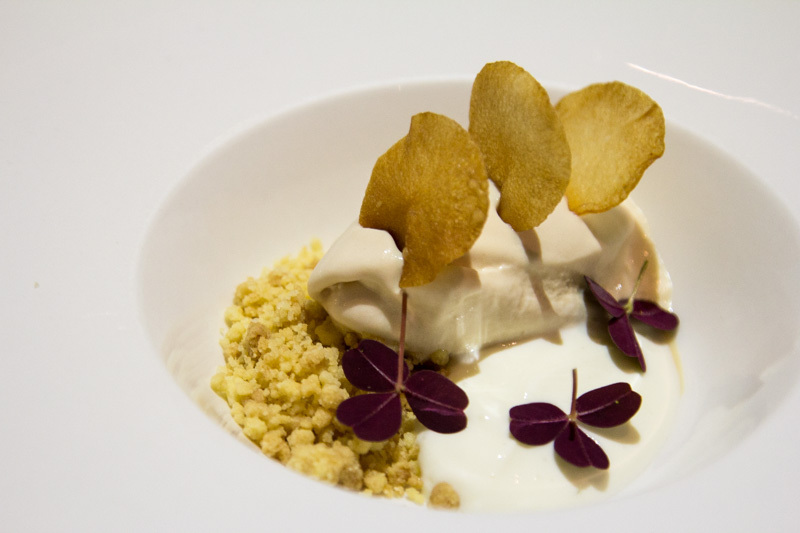 Ending off the meal with Patata (available in caviar pairing set menu and dinner set menu), a potato ice cream topped with potato chips, served with a side of yoghurt and homemade butter cookie crumble. The potato ice cream was smooth and savoury, while the tangy yoghurt added creaminess to the dish, and the crumble was sweet and provided a nice bit of crunch. But the star of the dessert was the deep fried potato slices on top. It was just like eating potato chip along with a cold dip that is potato flavoured. It certainly was a great way to end the night, and I thought it was a perfectly executed dish. I left 28Wilkie that night with my beliefs about caviar completely turned upside down. 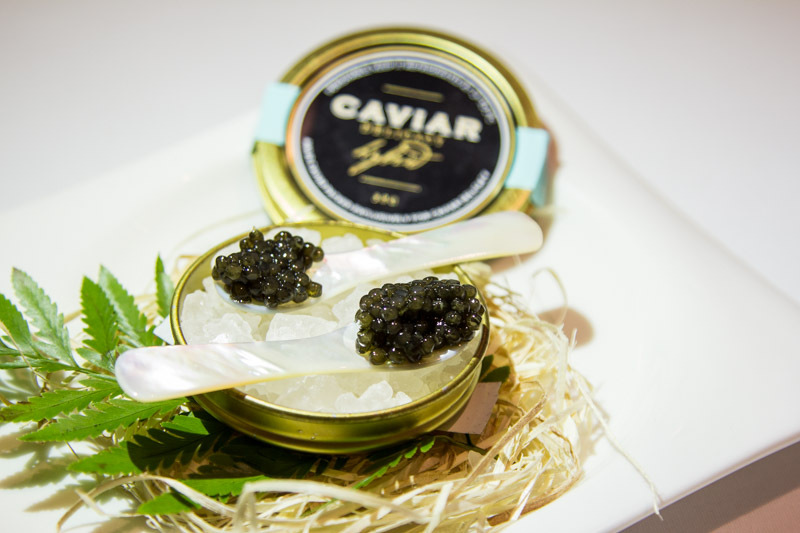 To have a try at what quality caviar tastes like, a trip to 28Wilkie is definitely in order.